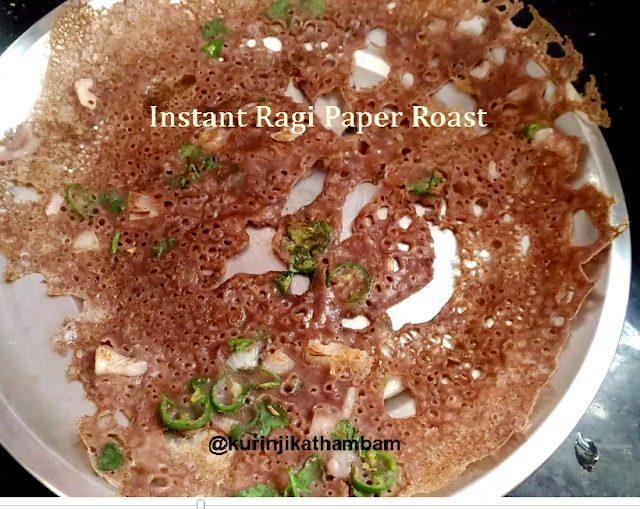 This is very simple and easy breakfast recipe. You can make this within 5 mins. 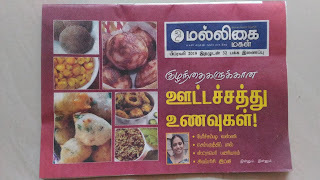 Very interesting recipe too. 1. Cut the bread slice with round shape cookie cutter or bottle cap. 2 Leave equal space around the circle. 3. Heat the pan and spread the oil over the pan. 4. 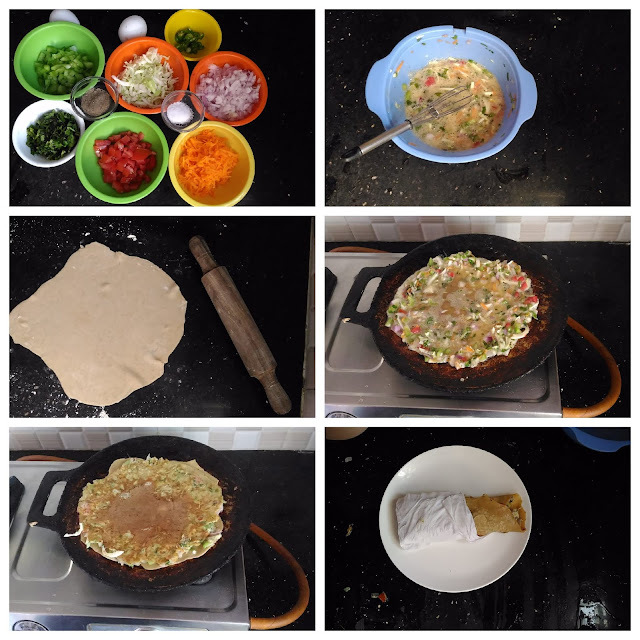 Place the bread slice with hole on the pan. 5. Break the egg and pour in a hole. 7. 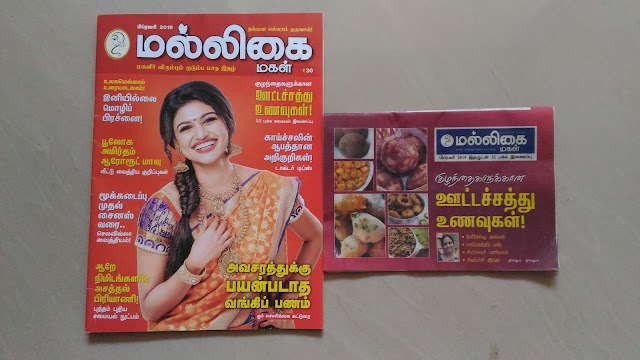 Cook in a medium flame. 8. Turn over carefully and pour remaining ¼ tsp oil. 9. 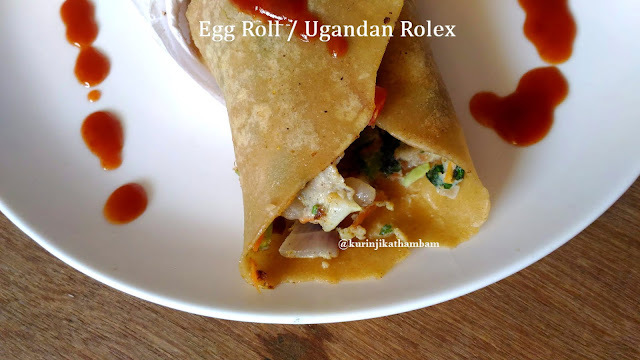 Cook them till the egg cook well. 10. Take it from the pan and serve. 11. Toast the bread circles and serve with jam or vegetables. 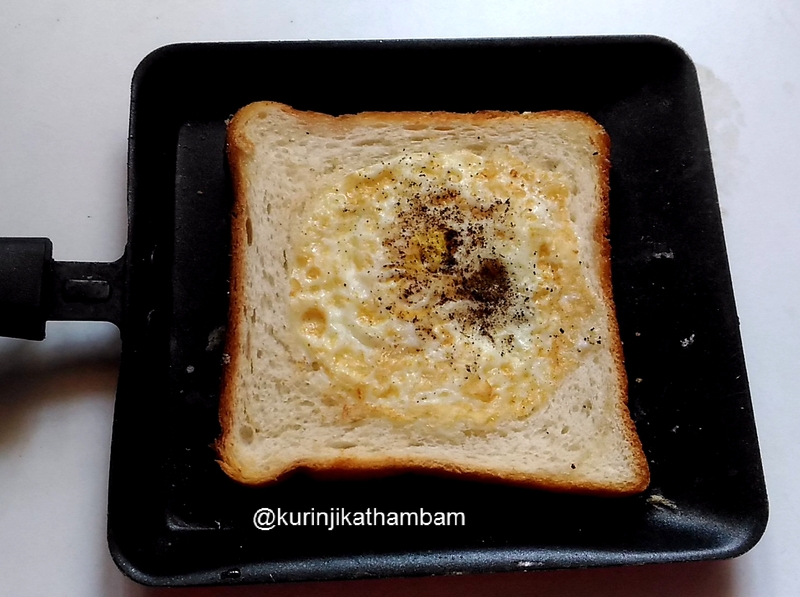 Yummy and easy egg in a hole is ready!. 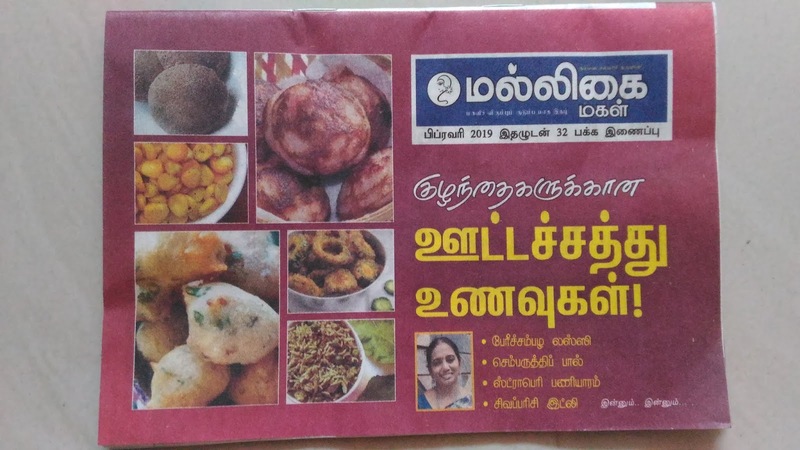 My 25 Healthy Recipes (ஊட்டச்சத்து உணவுகள் ) has been published in Malligai Magal (மல்லிகை மகள் ) supplementary dated February 2019. 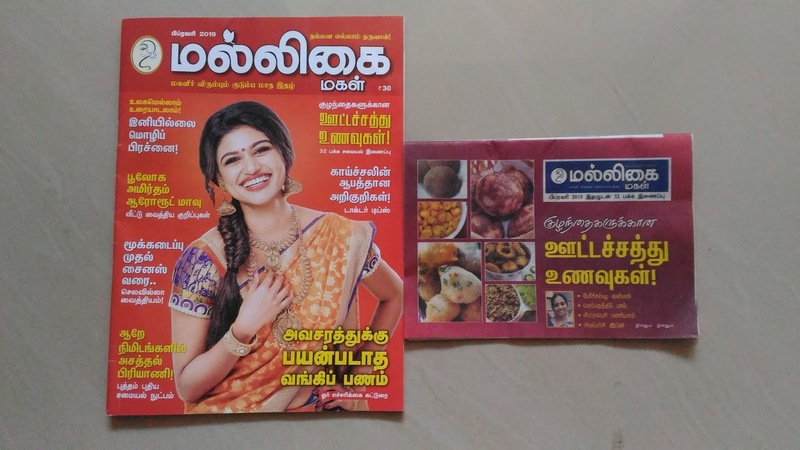 Don't forget to order your copy. 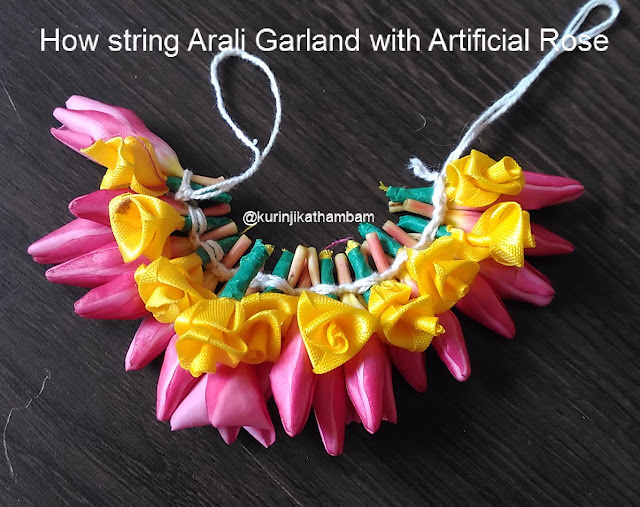 This is very easy and attractive garland with arali poo and artificial roses .